Reporter Anna Wiernicki of KAMC in Lubbock Texas interviewed the mother of 4 month old baby Kathyrn who was taken away from her parents when they wanted to seek a second opinion regarding her medical care. 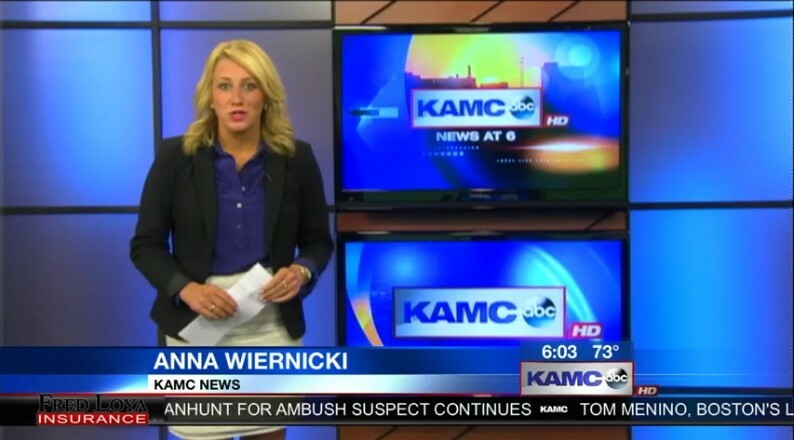 We applaud Anna Wiernicki and KAMC ABC for giving the parents a voice in speaking out against medical child kidnapping. Show your support by visiting their website. Has there been any updates on baby Kathryn? Has she been reunited with her family? My name is Velvet Martin and I am the founder of Samantha's Law, a Canadian legislative amendment which differentiates children with medical issues from being targeted by Child Welfare Intervention Authorities. It pains me to know that 21 years following my daughter's birth, the same eugenic targeting of children with special needs continues today. Please ask the Courts to honour family-centred care practice by implementing SAMANTHA'S LAW in your case. This is disgusting! Over reach by all the authorities involved. There is nothing wrong with parents wanting to seek a 2nd opinion! And then to add insult to injury, the parents get only 2hrs visitation every 3 weeks??? Outrage! CPS seriously needs an overhaul!!! All parents of young children should be concerned and get involved, because all of you are an accident or illness away from this situation yourselves. Give this mother back her child! All parents should be concerned about this case...you are all just one illness away from this situation! CPS and the hospital should be sued! 2hours every 3 weeks???? Seriously???? Where are the pro-bono lawyers??? Every parent, just like every adult has the right to seek a 2nd opinion!!! This is OVERREACH by all the authorities involved! Anna, you are what defines a true reporter. Thank you for getting the truth out. CPS has far too much control and needs to be stopped. Prayers to this poor family, should never have to go through such a horror.